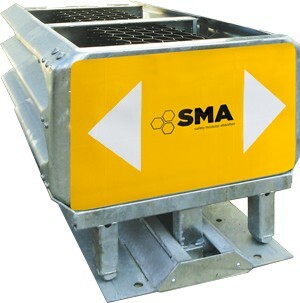 SMA Parallel Crash Cushions offer great perfomances and present reduced sizes. 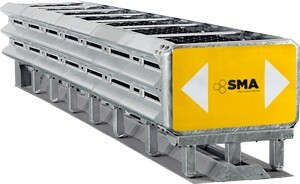 For this reason, they are particularly indicated for the installation in tunnels. The base structure is completely in electro-welded steel, with a 5/6 mm thick plate and a monorail guide for the sliding bars, linked to retaining panels of the crashboxes. 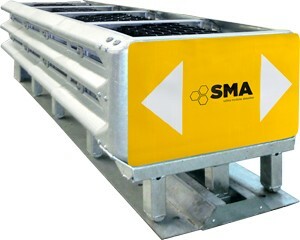 The bumper (frontal panel) is the rigid connection among the sliding side panels which deform after the impact. At the same time, the central panels crash the crashboxes that gradually dissipate the kinetic energy coming from the impact.